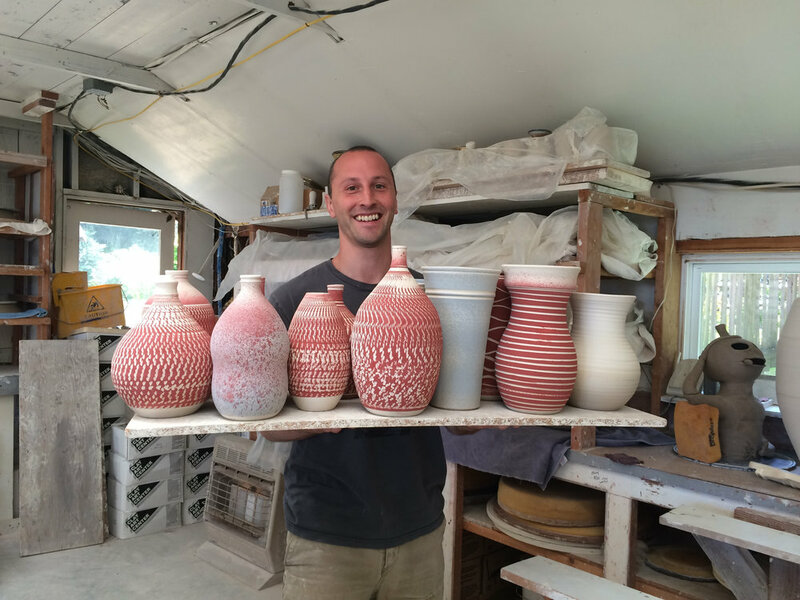 4th Generation Matt Haeuser received his ceramics training by osmosis– growing up at the pottery from the age of five. In 2004, needing money to finish college, Matt made the commitment to “get serious” about making pottery and found that he rapidly excelled in both form and glaze design. Since then he has become one of our important production potters, creating beautiful and friendly forms and mesmerizing glaze patterns. His work blends seamlessly with his mother’s and much of their work is a collaboration, filling out our dinnerware selections with mugs, bowls, serving pieces and more.